Be the first to share your favorite memory, photo or story of Lynda. This memorial page is dedicated for family, friends and future generations to celebrate the life of their loved one. 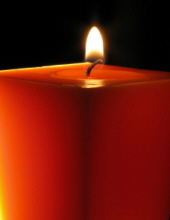 Lynda Deems Vollmer Humphreys, 80 of Raymore, Missouri passed away Monday, November 19, 2018 at Foxwood Springs in Raymore. Lynda’s wishes were to be cremated, with no public services planned. Private inurnment will take place in Oak Hill Cemetery, Butler, Missouri. Memorial contributions in memory of Lynda may be made to the American Shetland Sheepdog Association Foundation. Services under the direction of Mullinax Funeral Home, Butler (660-679-0009). Messages of condolence may be left for the family at www.mullinaxfuneralhome.com. Lynda Deems Vollmer Humphreys was born December 16, 1937 in Butler, Missouri to John Clyde and Elizabeth Surface Deems. She grew up in Butler and graduated from Butler High School in 1955. She continued her education at KU. After graduation she worked as an Executive Secretary for Sprint for many years. She would be united in marriage to John W. Vollmer, and to this union two girls were born. Lynda had a love for the shetland sheepdogs, and began breeding and showing them in 1974. She was a founding member of the Greater Kansas City Shetland Sheepdog Club and also served as club president. Her passion for showing dogs would take her all over the country, and prove to be very successful. Her daughters carry on the tradition today. Lynda was known to be “the life of the party”. She loved to entertain, especially by playing the piano, often playing every opportunity she could. Her out spoken personality, and never knowing a stranger, gave her the opportunity to make many friends over the years. She also loved to garden and was a member of the Johnson County Garden Club. Lynda never missed an alumni gathering with the Butler High School class of 55, often times she would be an integral part in the planning. Lynda was preceded in death by her parents, husbands, John W. Vollmer and Frank Humphreys, brothers, Harley Deems, Lloyd Deems, and Lelan Deems, sisters, Helen Sweezy, Shirley Spears and Donna Post. She is survived by her daughters, Victoria and Jonna Vollmer both of Olathe, KS, grandson Justin Tucker also of Olathe, KS., sister Dixie Harper and her husband Theron, sisters-in-law, Gloria Deems and Bobbie Deems, as well as numerous nieces, nephews, and extended family members. To send flowers or a remembrance gift to the family of Lynda Deems Vollmer Humphreys, please visit our Tribute Store. "Email Address" would like to share the life celebration of Lynda Deems Vollmer Humphreys. Click on the "link" to go to share a favorite memory or leave a condolence message for the family.